There aren’t many things in life that can beat cruising through Texas hill country on your bike. You can ride into the open Texas sky with wildflowers blossoming at every turn, dirt roads stretching for miles, and old ranch signs guiding your way. You have your sweetheart behind you and your buddies on either side — you ride until the grapes turn into fine Texas wine and the sun fades beyond the bramble. And then, you sip an ice cold beer and bite into a juicy burger at The 4 Way Bar & Grill in Lakehills. If there’s anything better than riding through the plains of Bandera, it’s the beer you enjoy afterward at our bar and grill. 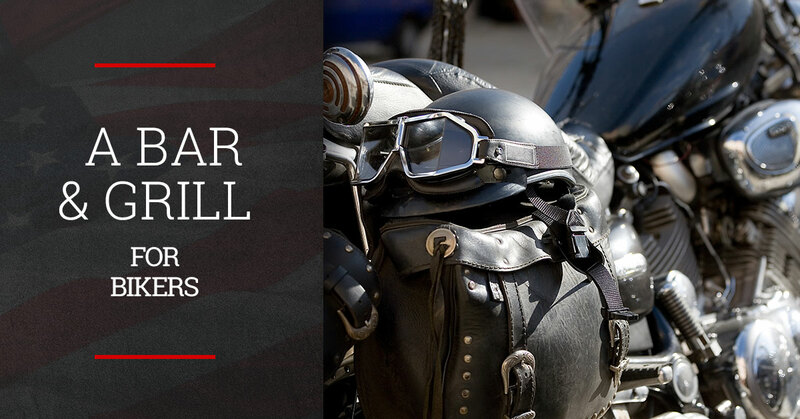 We aren’t just a biker-friendly bar and grill — we are a biker bar and grill. Come on in to our bar and grill with your crew and post-up on our back patio, inside the restaurant, or in our private event room. If you’re looking for a place to kick back after the Rumble on the River and stay well into the evening, The 4 Way Bar & Grill is your spot. Our menu was practically built for bikers. We have family-sized appetizers for the whole crew to enjoy, including loaded chili cheese fries, hush puppies, onion rings, and so much more. For the main event, you can’t miss our 4 Way Big N’ Juicy burgers. We dare you to participate in Big Mike’s 4 Way Challenge — all you have to do is finish six burger patties, six slices of cheese, six pieces of bacon, grilled onions, and jalapenos . . . in under 20 minutes. We can’t forget the drinks, either. Of course we have ice cold beer, cocktails, and our Texas-famous frozen margaritas. Get a pitcher to share with the whole gang. Sunday — Half-off Texas-Size Blood Mary’s until 2 p.m. When we say The 4 Way Bar & Grill is a good time, we really mean it. We feature live music every weekend and have talented bands from all up and down Hill Country come and play. Check out our live music calendar to see if there’s a band that strikes your fancy. You can enjoy the live music from outside near the stage, inside the restaurant, and even in the private room. Whether you’re riding through on your way to San Antonio or want a fun evening after a day on Lake Medina, The 4 Way Bar & Grill is the perfect stop. Stop by today for a delicious Texas burger, or call ahead for reservations if you have a big group! Don’t eat asphalt. Eat at The 4 Way Bar & Grill instead.